Though the sheer natural beauty of the Red Rock Canyons had a lot to do with Discovery Channel founder John Hendricks choosing the spot he did to erect Gateway Canyons Resort, we shouldn’t discount the fact that the area was a playground for elk, turkey and other delicious critters then and still is today. 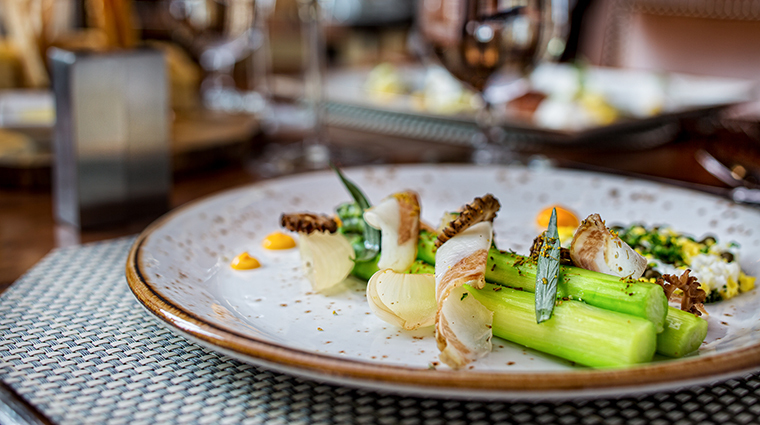 The smell of smoked deer one day scenting Entrada, the property’s premier dining experience, could have played a role in Hendricks’ decision, right? Well, we can almost assure you that the thought has run through Stephen Belie’s mind at least a few times. 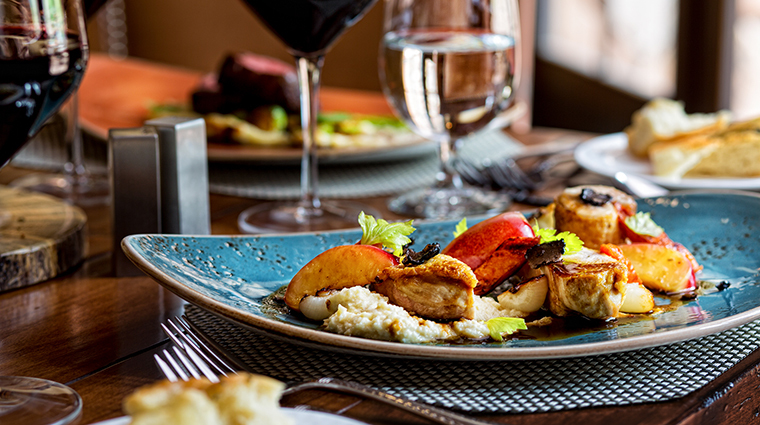 As the executive chef for Gateway Canyons, Belie has to consistently deliver a high-end culinary experience that honors traditions of the Colorado plateau while steadily bringing new things to the table — literally and metaphorically. Embracing the Colorado cool and Southwestern vibe full on, the adobe-style Entrada is awash in burnt oranges and an overwhelming air of calm. 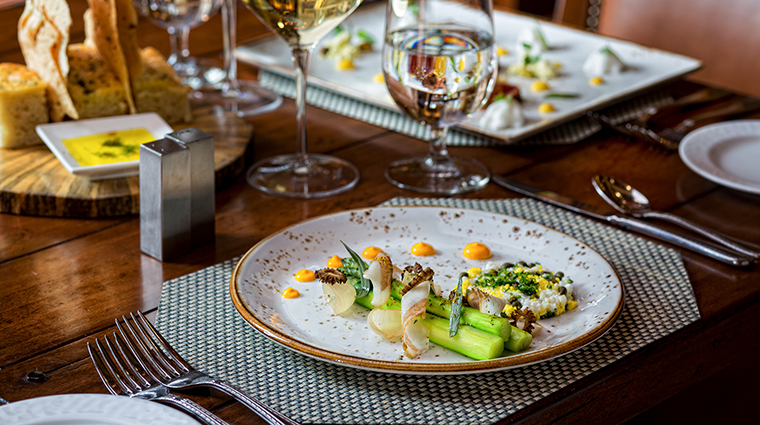 Entrada’s dinner menu can best be described as a cornucopia of mountain- and Southwestern-inspired cuisine. An evening here — be it inside or out by the fire pit — proves a great way to end an eventful day in the canyons. 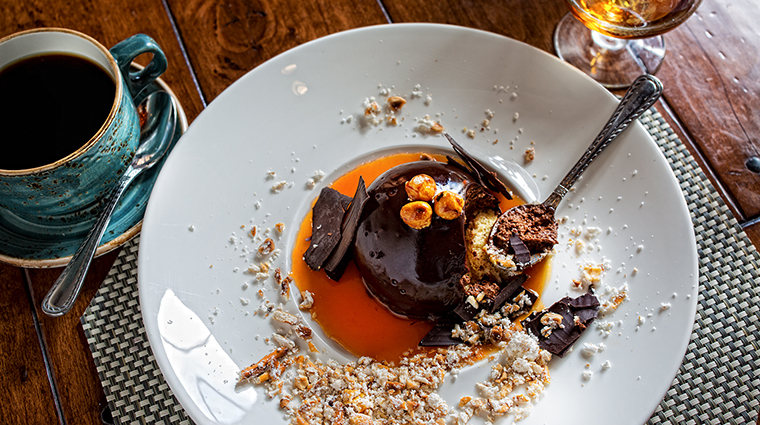 With a morning menu of traditional favorites (brisket hash and eggs, buttermilk waffles) and unique area offerings (a venison sausage you wish your local Whole Foods sold), the Grand Junction restaurant is a great starting point before heading out on the ATV or hike. 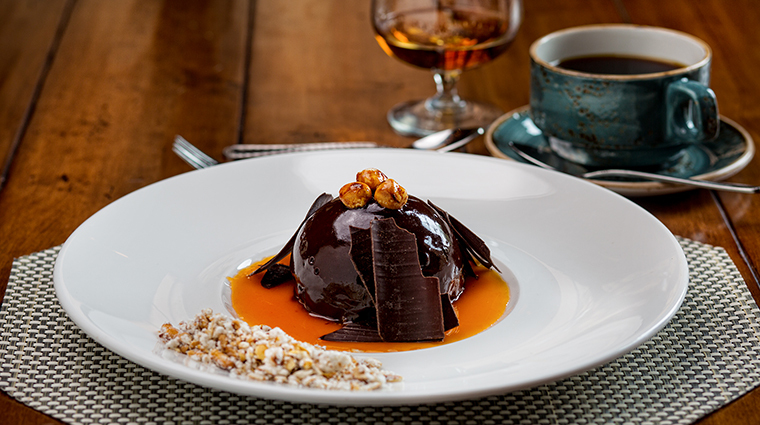 But in addition to taking good mental notes about your palate preferences, the staff also wants the best for you when it comes to planning your day’s activities. 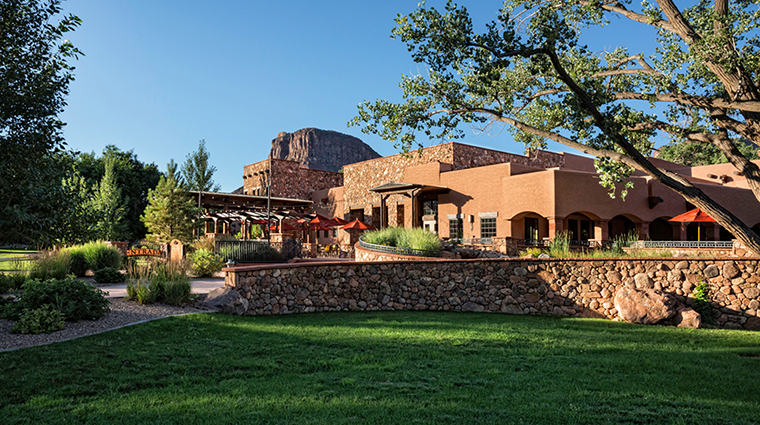 Breakfast and dinner are served daily at the picturesque Entrada Restaurant. 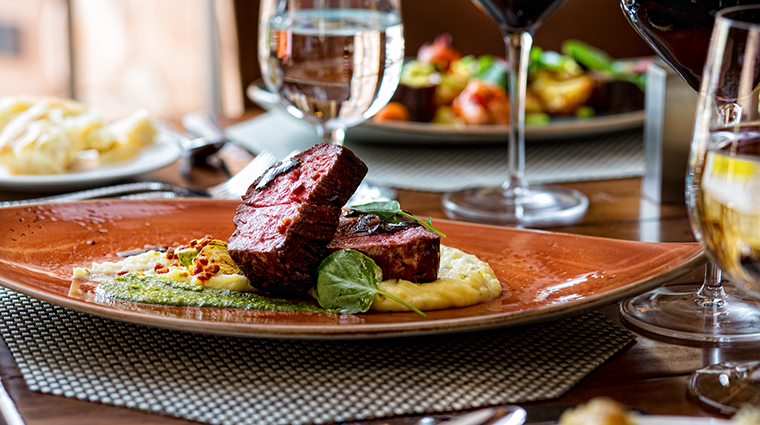 Load up on venison sausage in morning, then come back in the evening for exquisite Colorado lamb. 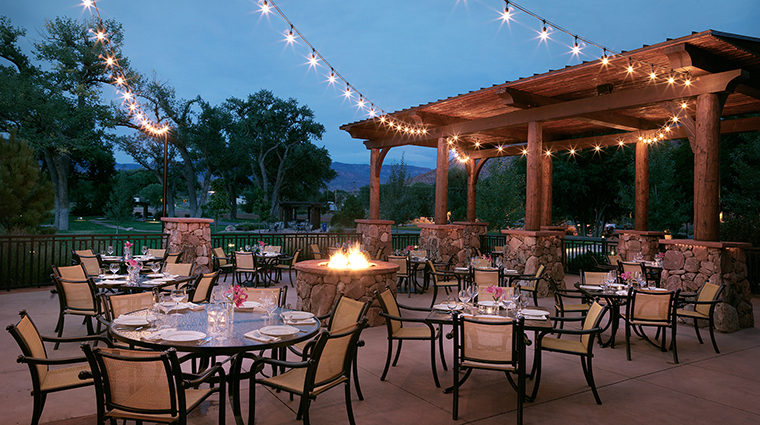 You’ll want to be sure to grab a seat in advance at this scenic spot at Gateway Canyons Resort. 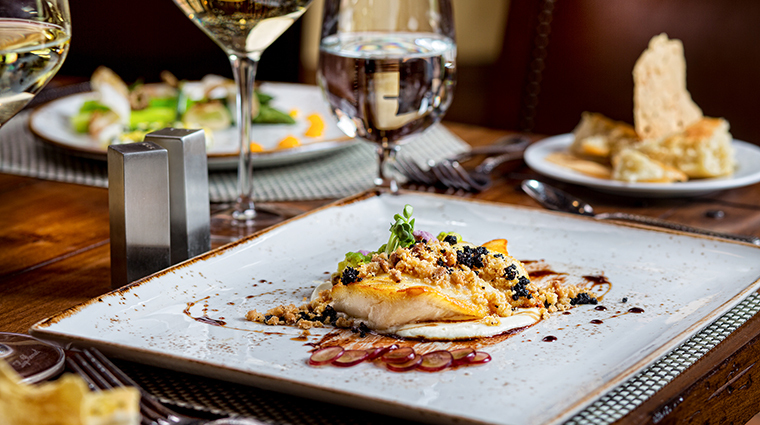 Call 970-931-2458 to make a reservation or, if you’re staying at the hotel, simply ask the concierge to book you a table. 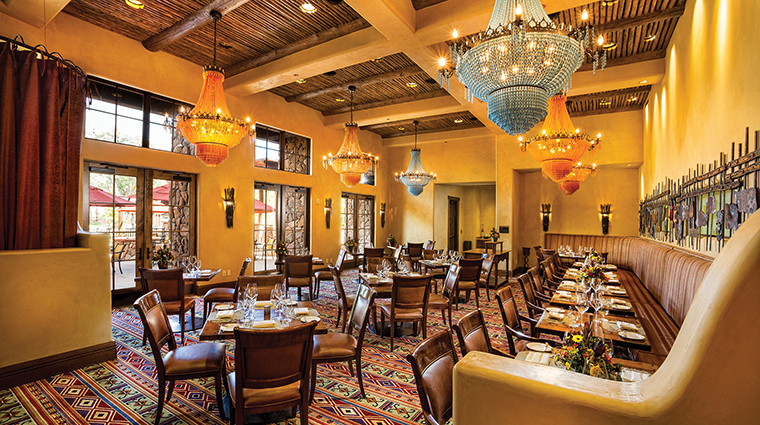 If you’re just looking for a quick bite, we recommend the Entrada Lounge, where cocktails and appetizers are served in style. Expect dishes like Colorado lamb; paella with rabbit, ox tails and seafood; and thyme-roasted chicken from chef Belie’s team. 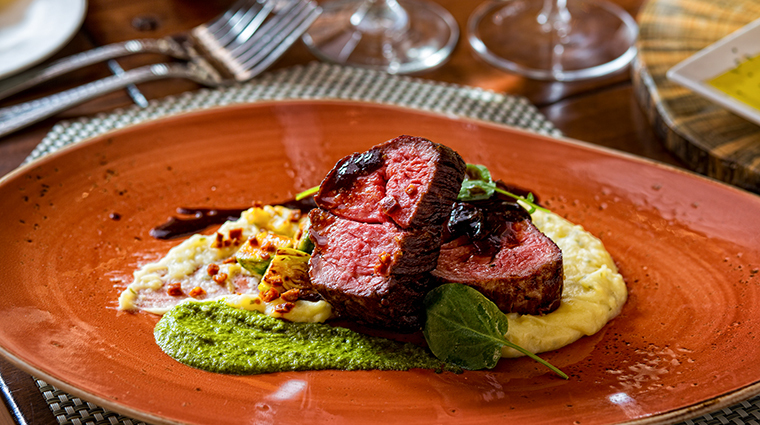 Fresh fare reigns supreme at Entrada. Start with an arugula salad topped with grilled Palisade peaches or yellowfin tuna poke. 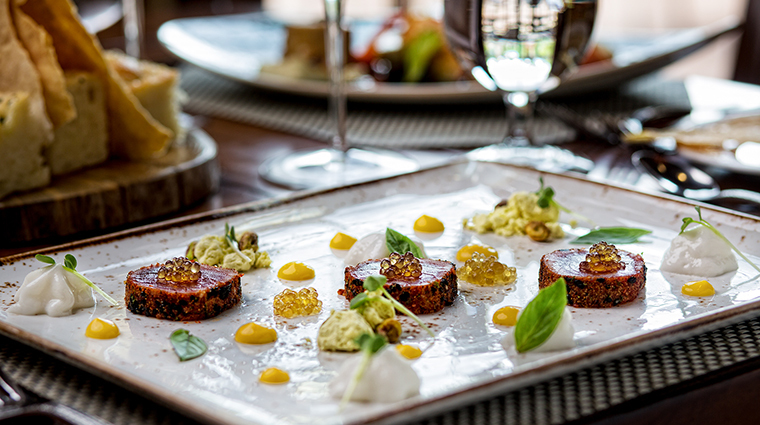 Even with a game-centric menu, Entrada ensures that vegetarians can also enjoy a flavorful meal. In the summer, you might find pesto spaghetti squash with summer vegetables on the menu alongside starters like lentil walnut pate. To the right of the entrance sit a few tables and a bar that’s just the right size so as to not intimidate the casual tequila drinker or underwhelm everyone else. Once you make your way to the left, around the reception wall, things only brighten up with floor-to-ceiling windows looking out to the peaceful patio and the postcard-perfect peaks just beyond it. Subtle creativity stays at a high level in the main dining room, where you’ll find colorful art from the likes of Elizabeth Barton and Wendy Huhn, sparkling soft blue and red chandeliers, tables with brown leather chairs and a long banquette.